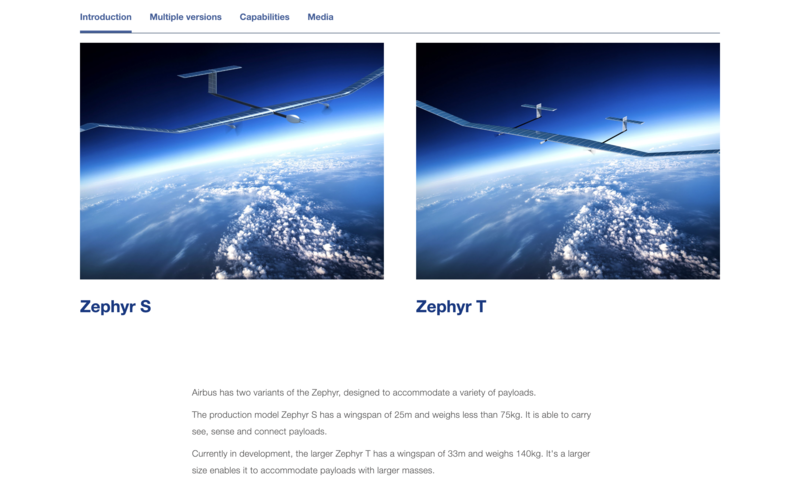 The Facebook and Airbus were designed to test a payload from the social network — doubtless internet broadcasting gear — but, since the document covers planning and meetings prior to the tests, we don’t know what the outcome or results were. “We continue to work with partners on High Altitude Platform System (HAPS) connectivity. We don’t have further details to share at this time,” a Facebook spokesperson told NetzPolitik. TechCrunch contacted Facebook for further comment (06:55 am EST), but the company had not responded at the time of writing. Facebook has a raft of projects that are aimed at increasing internet access worldwide, particularly in developing regions such as Asia, Africa and Latin America. The drone projects may be its boldest, they are aimed at bringing connectivity to remote areas, but it has also used software and existing infrastructure to try to make internet access more affordable. That has included the controversial Internet.org project, which was outlawed in India because it violated net neutrality by selecting the websites and apps that could be used. Since renamed to Free Basics — likely promoted by the Indian setback — it has been scaled back in some markets but, still, Facebook said last year that the program has reached nearly 100 million people to date. Beyond that top line number, little is known about the service, which also includes paid tiers for users. That aside, the company also has a public-private WiFi program aimed at increasing hotspots for internet users while they are out and about.